Gabbie Plain traveled nearly 8,000 miles from her home in Sydney, Australia to Seattle to play college softball at the University of Washington. Plain moved away from the people she knew and loved, her friends, and the lifestyle she had grown up with to the other side of the world. Her recruiting process started really late in her final year of high school. She started researching schools in the southern part of the United States, but as luck would have it at a tournament she was competing in, she ran into a Husky alumni that encouraged her to look at Washington. Plain arrived in Seattle hardly knowing anyone. She had met a couple of teammates on her official visit in the summer of 2016, but the group welcomed her with open arms to a new and unknown environment. 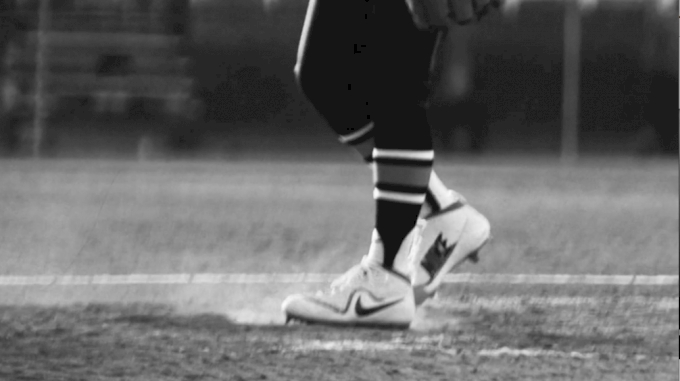 Aside from the initial culture shock, the hardest thing to adapt to on the diamond was the pitching style. Her collegiate debut came February 9th against St. Louis in a relief appearance. Plain struck out two in one inning of work and followed that up with her first start the following day where she gave up one hit in five innings and struck out six against Western Illinois. A good starting path is an understatement. Plain was flat out dominant in the circle. She tallied a 22-5 record with 181 strikeouts. On April 7th against the University of Utah, she added her name to the record books. She became only the fourth pitcher in Huskies history to throw a perfect game. One statistic, that sticks out to her is becoming the first UW pitcher to toss 100+ innings and allow less than 100 hits. The team helped Plain’s confidence in the circle, pushed her to new levels, and had her back when she was thrust into the number one role when Taran Alvelo injured herself at the end of conference play. Despite losses to UCLA and Oregon at the end of April, the freshman bounced back with nine consecutive wins becoming the fourth Husky freshman to win 20+ games. 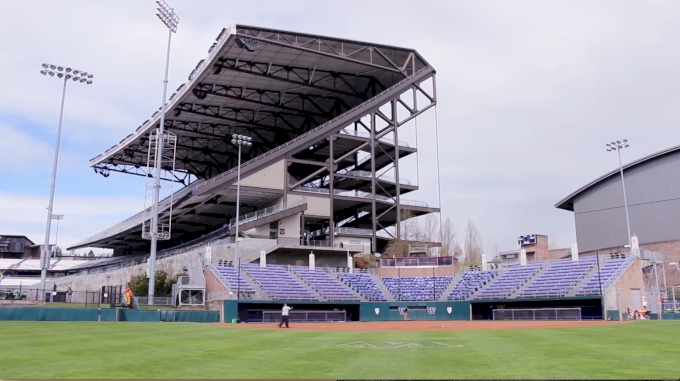 The University of Washington softball program is no stranger to the Women’s College World Series. The Huskies have made 13 appearances dating back to 1996 and won the title in 2009. After making it to Oklahoma City in 2017, Coach Heather Tarr’s program was back once again with Plain picking up her first two wins of the tournament against back-to-back champs Oklahoma and top-ranked Oregon. Plain pitched in the first game of the championship against Florida State, giving up five runs in seven innings to take the loss. She came in relief for Alvelo in game two as the Noles’ won 8-3 to take the title for the first time in school history. Despite the outcome, pitching in such an extreme and incredible environment was an experience she will never forget. “It pushes me to want to get back there with the girls and reach that final level,” she said. This offseason she’s been working on maintaining her accuracy and pushing to be just that one percent better than she was as they start off the fall. How do you get hyped up before games? What hypes me up before the games is definitely just being around the girls as they're singing and dancing and generally enjoying themselves. It creates a really amazing atmosphere and you can't help but laugh and have fun and be excited for the game to come. I personally believe that I am at my best when I am relaxed and having fun, so this environment that they create is perfect for both me and the team in general. What is the best advice Coach Heather Tarr has given you? The best advice Coach Tarr has given me so far is to leave it all on the field and to trust myself. If I give it my all in every moment that I can then there is nothing else that I can offer up. If I've given 100% of myself, and I trust that I can do what needs to be done, then I should be happy with the way that I performed. Your bio says you love the outdoors. Where is your favorite place to go and just relax and have fun? I think that the beach is probably my favorite place in the outdoors. I always love to get to the beach any time that I can. I also read that you’re an avid reader. What are your must reads lately? I think some must-read books that I would recommend would be the Miss Peregrine series (Ransom Riggs), The Night they Stormed Eureka (Jackie French), The Hobbit/Lord of the Rings (J. R. R. Tolkien), The Book Thief (Markus Zusak), and Paper Towns (John Green). Lastly, What do you love most about the sport of softball? What I love most about the sport is that you never know quite where you're going to end up. I've traveled to three different continents just playing the sport that I love and enjoy, and I can't be happier with the idea that softball could take me more places in the future. I also love that it helps to create bonds between different members of different teams that I have been in, am currently in, and have yet to be in, every single time I take on a new adventure.